handling code, and the Excel object model. Copyright © 2002, 1999 O'Reilly & Associates, Inc. All rights reserved. Originally published under the title Writing Excel Macros. O'Reilly & Associates books may be purchased for educational, business, or sales promotional use. Excel macros is a trademark of O'Reilly & Associates, Inc. Version 8 (for Office 97) and Version 9 (for Office 2000). Applications (VBA). However, it is not intended to be an encyclopedia of Excel programming. for which is included in the back of this book). take perhaps 400 pages of information and pad it with another 600 pages of junk. Visual Basic for Applications programming language to an overview of the Excel object model. book that can be read, perhaps more than once, and can also serve as a useful reference. 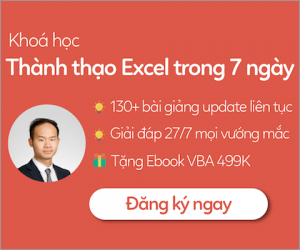 With the recent release of Excel 10 (also called Excel XP), it was necessary to update my book. new features worth special attention, such as support for text-to-speed and smart tags. (excluding the introductory chapter). In addition, there are five appendixes. programming and the Visual Basic for Applications language. used to develop Excel VBA applications. statements (Chapter 7), and control statements (Chapter 8). my book Learning Word Programming might notice that these topics came at the end of that book. examples at the end of most of these chapters. give you a perspective on where VBA fits into the great scheme of things. concepts. I prefer to use small coding examples, hopefully, just a few lines, to illustrate a point. in this Preface.) Also, I encourage you to experiment -- it is definitely the best way to learn. coding examples are intended to teach you how to write VBA programs for Microsoft Excel. properties and methods without referring to other objects that may not yet have been discussed. serious problems, since most of these forward references are fairly obvious. writing of the book and during the final preparation for book production). after a significant span of time! the code simply does not work. excuse, for inconsistent behavior over time. students, who constantly say to me, "There is an error in the answers in the back of the textbook." is not in the book! Would that the software industry had this good a record! indicates a language construct such as a language statement, a constant, or an expression. Lines of code also appear in constant width, as do functions and method prototypes. addresses. New terms are also italicized when they are first introduced. indicates variable and parameter names. freely downloaded from our web site at http://www.oreilly.com/catalog/exlmacro2. There is a web page for this book, where we list any errata, examples, and additional information. with over the last 17 years of book writing. Also, I would like to thank Matt Childs for doing an all-important technical review of the book. do easily through its user interface. In these cases, we must turn to Excel programming. proven to be an extremely useful utility. In this book, we will develop a simpler version of this utility, whose dialog is shown in Figure 1-3.
similar to the utility shown in Figure 1-2.
copied, no link is established, and so changes made to the range are not reflected in the chart. There is also an option to control whether formatting is linked or copied. automating the printing of charts, sorting worksheets alphabetically, and so on. First, you need to learn a bit about the environment in which Excel programming is done. Environment (IDE for short). We take care of this in Chapter 3 and Chapter 4.
programming environment called Visual Basic (VB). objects that are particular to that application. as workbooks, worksheets, cells, rows, columns, ranges, charts, pivot tables, and so on. in size and complexity, with almost 200 different objects. WorksheetFunction, Workbook, Worksheet, PivotTable, and Chart. Access, and PowerPoint programmer as well! programming experience, as well as to those who have. 2.1 What Is a Programming Language? languages. An example is assembly language. disagree that some languages are intended to be used at a lower level than others. A language to teach students how to program "correctly"
variation even in this simple task. When in doubt, favor readability over cleverness or elegance. Fill your programs with lots of meaningful comments. meaningful comments to your programs—at least any program with more than a few lines. return to his or her code to make changes (such as adding additional features) or to fix bugs. However, despite all efforts, programming languages are not as easy to read as spoken languages. you start programming (that is, assuming you want others to be able to read your programs). GOTO statement, but it will help illustrate the issue of good programming style. PRINT "Your number is too large"
PRINT "Your number is too small"
is why a sagacious programmer always favors readability over cleverness or elegance. segments over and over, which is a waste of time and space.